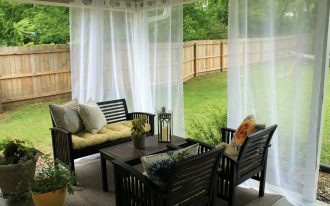 Nature and greenery definitely brings peace and refreshment to any objects, including living spaces or homes. 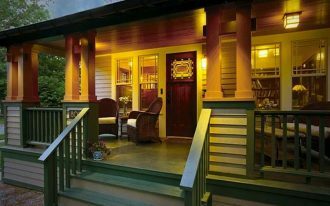 The homes with greenery absolutely energize the atmosphere inside that indirectly affects the creation of positive energy. 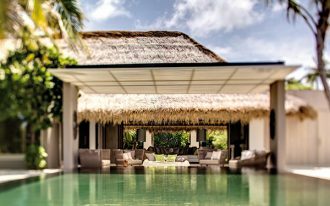 Most people even treat their greenery in special way by allocating them in the best spots can visually enjoyed by both guests and the homeowner themselves. 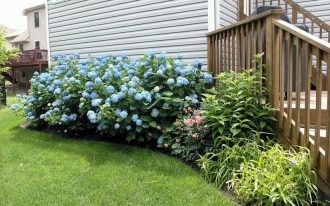 For large numbers of greenery, they’re commonly in outdoors such as backyard, front yard, and even garden, while smaller amount of greenery ideally uses pots, planters, or even plant stands for plants to grow up. 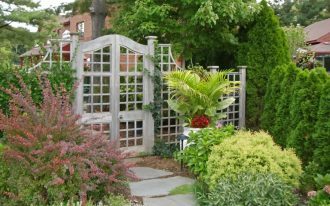 Plant stands are usually designed for adding green accents inside the homes. Sometimes, they’re purposely made in unique models and styles. With various model & style options, you have so many choices what design you want to pick up for making your interiors so fabulous. 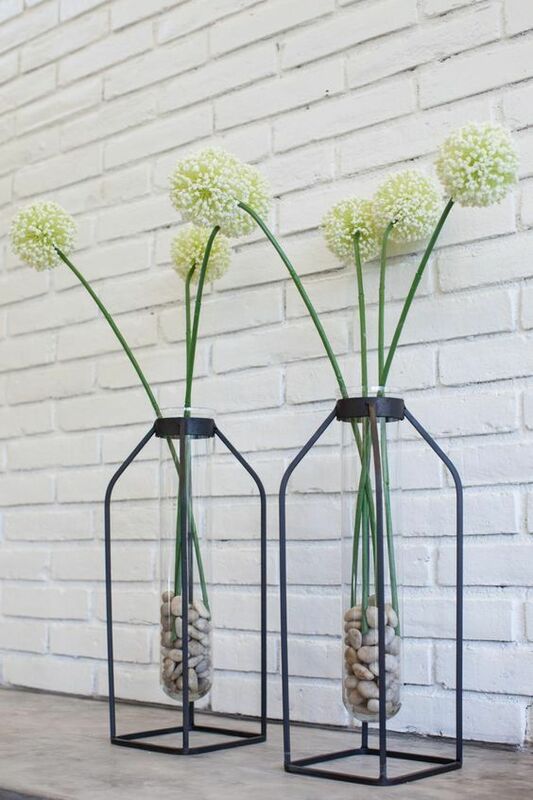 The followings are best plant stand ideas helping you to gain much inspiration for your home. Wanna feel rustic in different way? Use your greenery and plant stands as a statement of room. Black wrought iron really closes to rustic and you can make it as the most highlighted rustic element in your room. Complement it with shabbily bold pots randomly set in different height. These aged-look stands can also be perfect spot for your favorite books. Wanna try it? 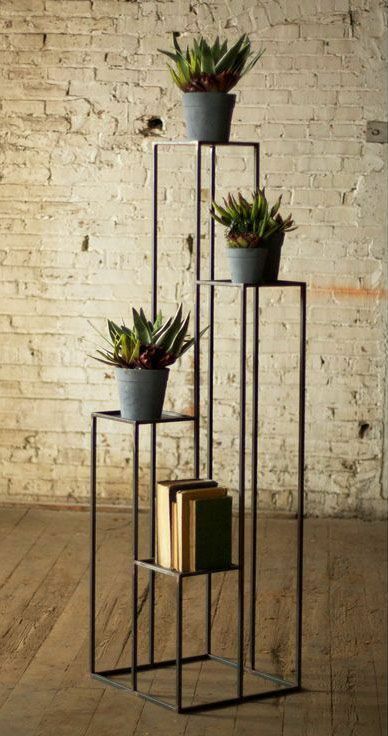 Natural and light – This is what I feel when seeing this creative plant stand. 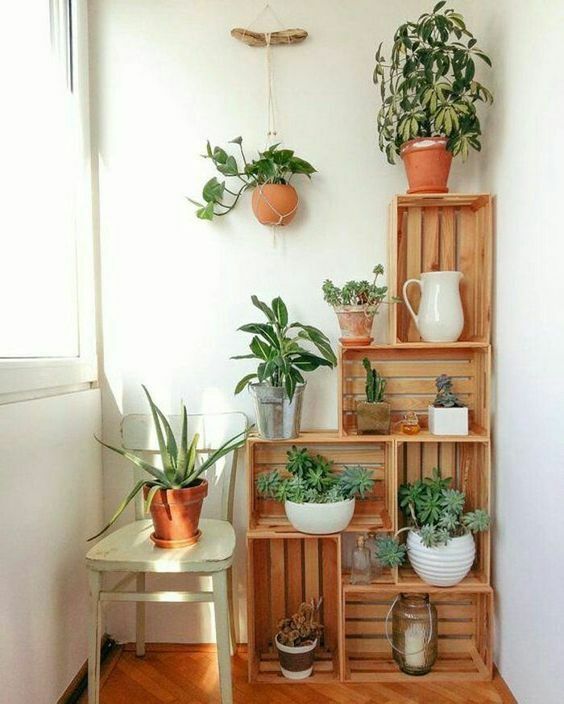 The plant stand is brilliantly built from re-used crates arranged into such model. Each room of crate can be effectively used for a single plant pot. So inspiring! Need a room beautifier but really confused about your space availability? Tripod plant stand is your best answer. The stand has three tiny metal legs and can support any objects hung down from tripod’s head. 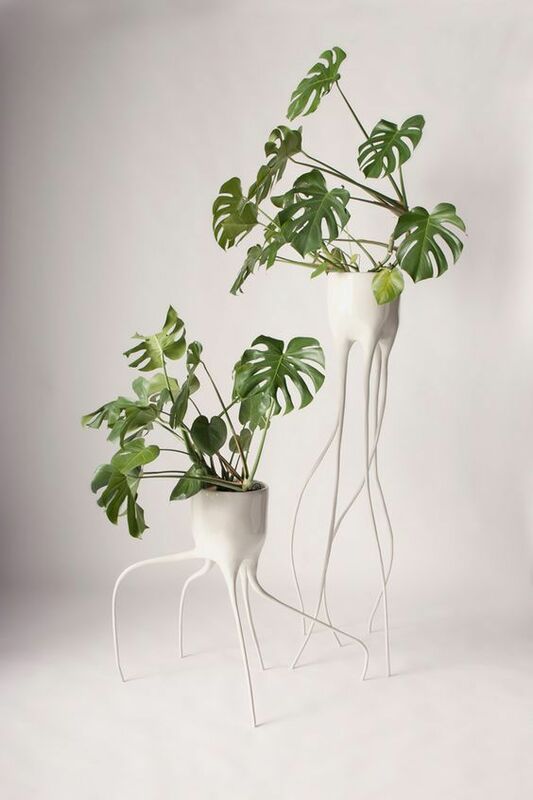 Clean & modern plant stands with tiny & wavy legs. I really wonder how can they stand up? A couple of iron plant stands with glass tubes inside. I note that these products are specifically designed for tinier & longer-stem houseplants. Add little stones to glass tubes for the accent. In-circle plant stand – Visually this is a simple product but offers more amounts of storage space. 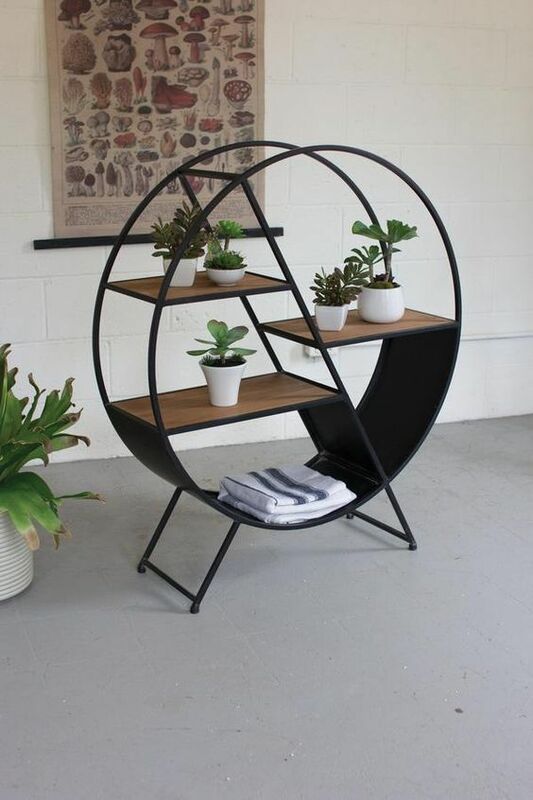 Each shelf can be used for both the houseplants and other stored items. 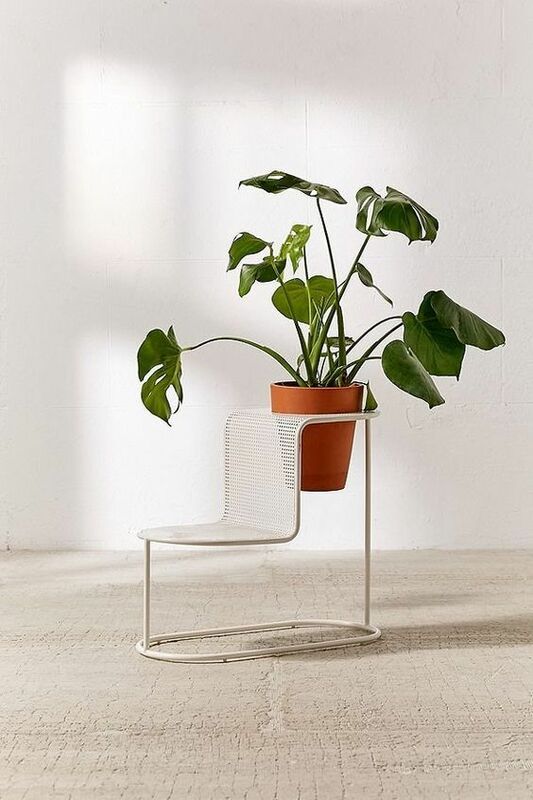 Plant stand within the seat. 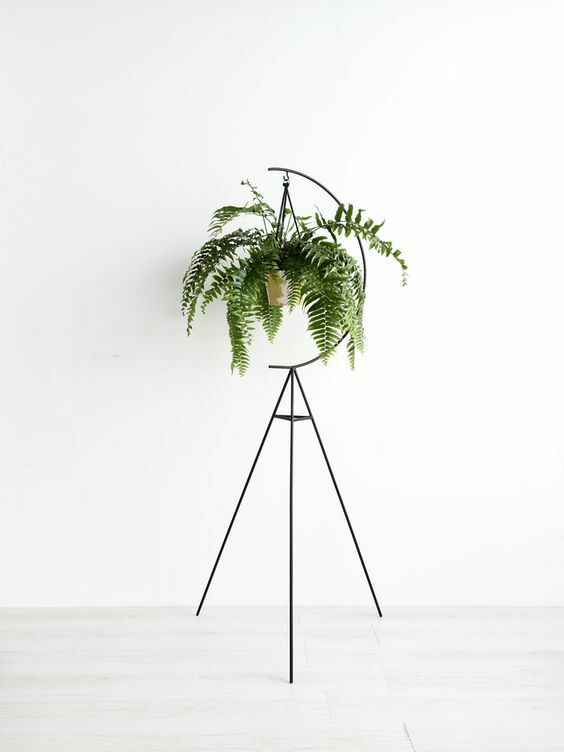 If you don’t have any space for your greenery, this plant stand is very recommended for you. 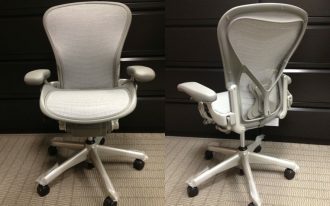 The design previews a practical model of chair integrated with plant stand. 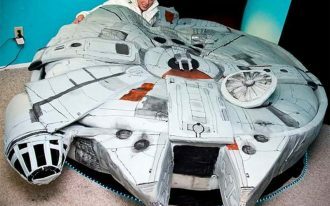 You just need to slot the pot in the holed space behind the seat’s back. 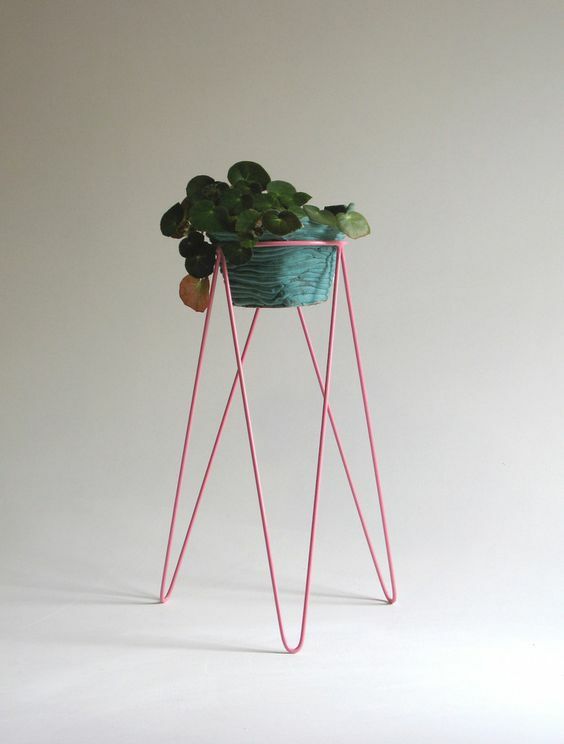 hairpin legs become the most interesting part from this modern plant stand. All legs are made of finest steel and on top you’ll find a ring that fits any pot sizes. Actually these items are planters, not plant stands, but I wanna give you a little info about these products. 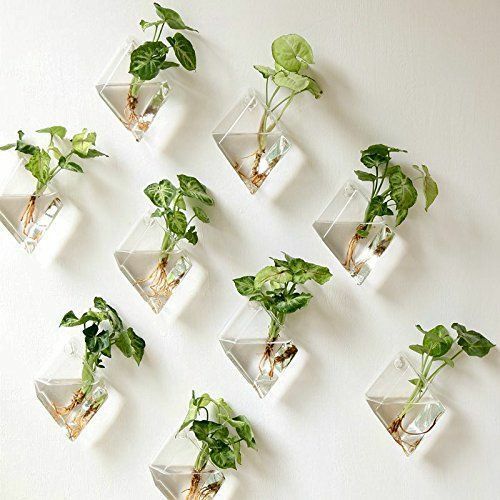 The material is resistant glass and designed as same as mini terrariums. Also, the products can bring high rate-interest as well as natural beauty. You can put them on the tables or just mount them on your walls. 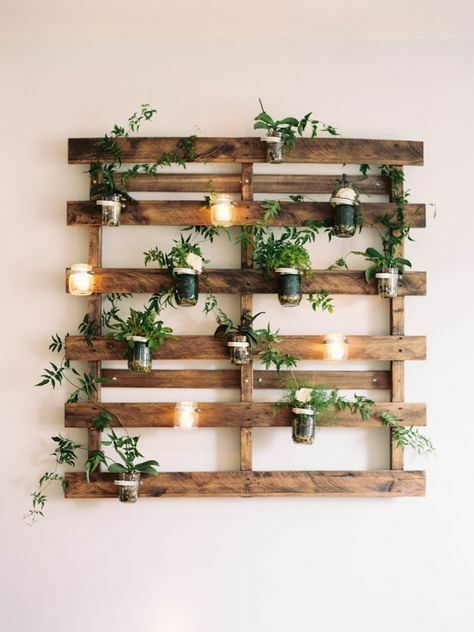 Inspiring Mason jars uses supported by wood plant stands. 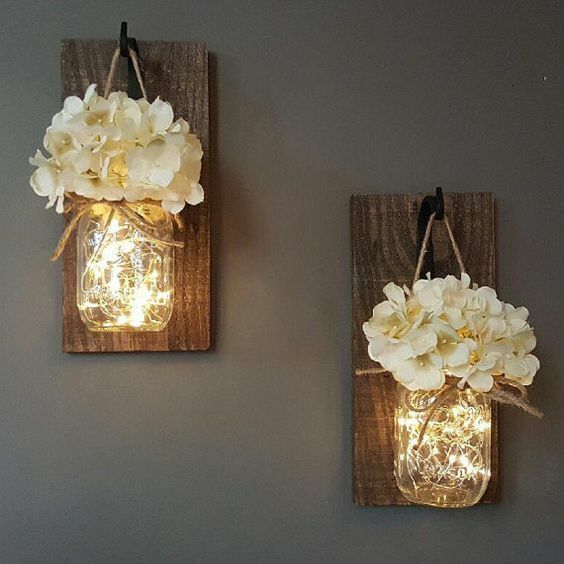 Pop them up with glam of string light fixtures inside the bottles. Create a rustic nook with this jar garden on pallet. 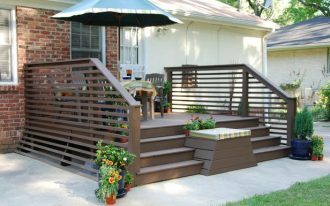 Let the pallet natural (no need finishing to show up the real wood color) and make it little glowing with warmer & dimmer light.